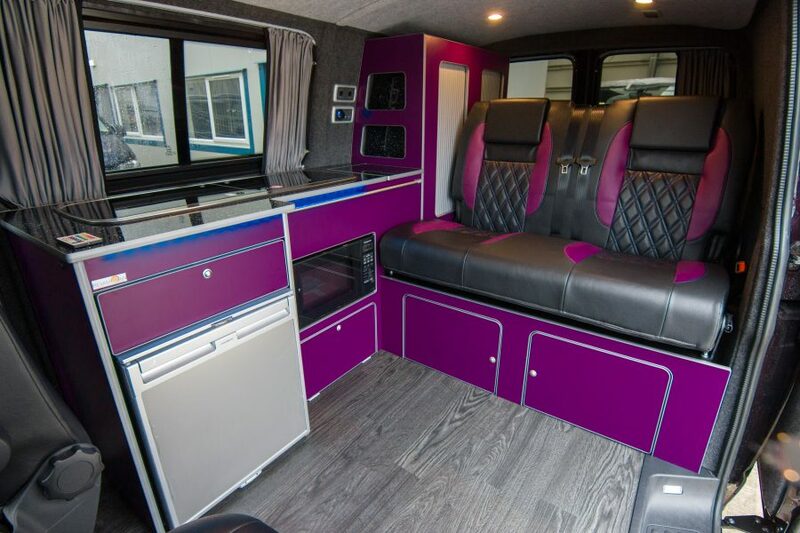 This Coastline conversion rolled out of the workshop recently with striking purple campervan units and matching accented VW campervan seats. 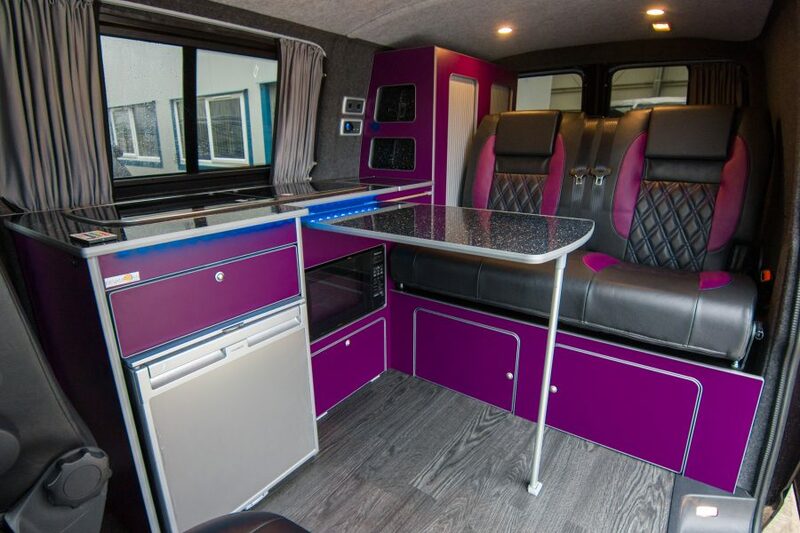 This conversion paired purple units with black sparkle worktop, silver trim and LED strip lighting to create a bold and stylish aesthetic. 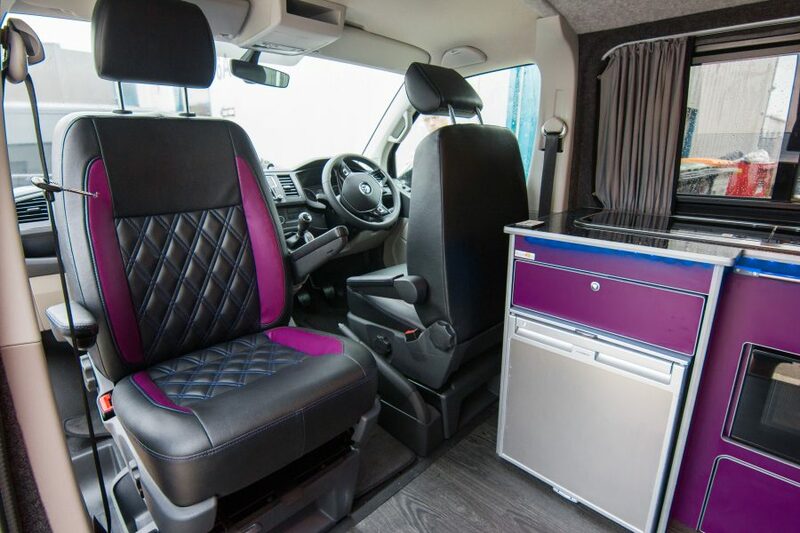 The single swivel seat allows for a more communal space for relaxing inside the van. 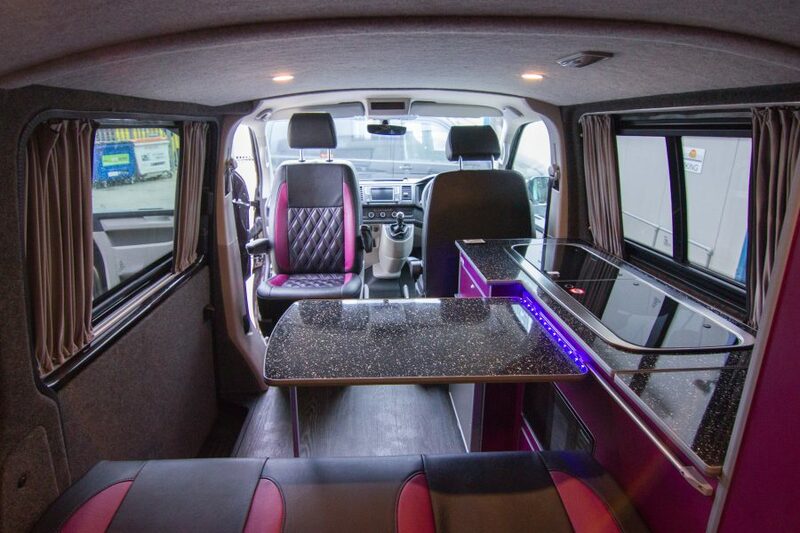 The custom re-upholstered RIB rear seat and VW front seats really tie the van together. Full specs will follow below. Manor Oak Altro Polyvinyl floor. If you like what you see please feel free to get in contact with us. 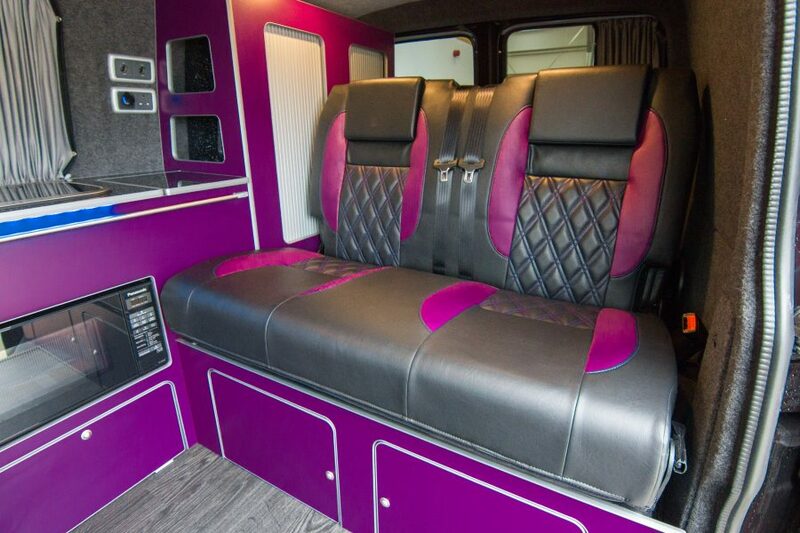 We will be happy to provide you with a quote for your van!